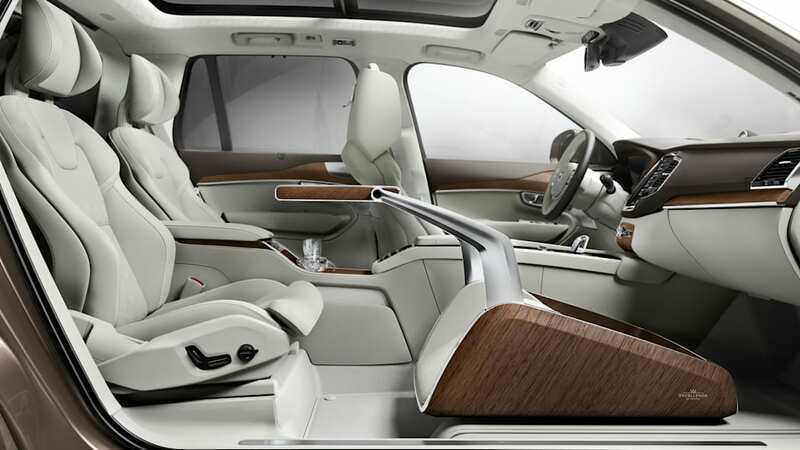 Volvo is placing an increasing emphasis on those customers who prefer to be chauffeured than to drive themselves around, from the introduction of the long-wheelbase S60L to the new XC90 Excellence. 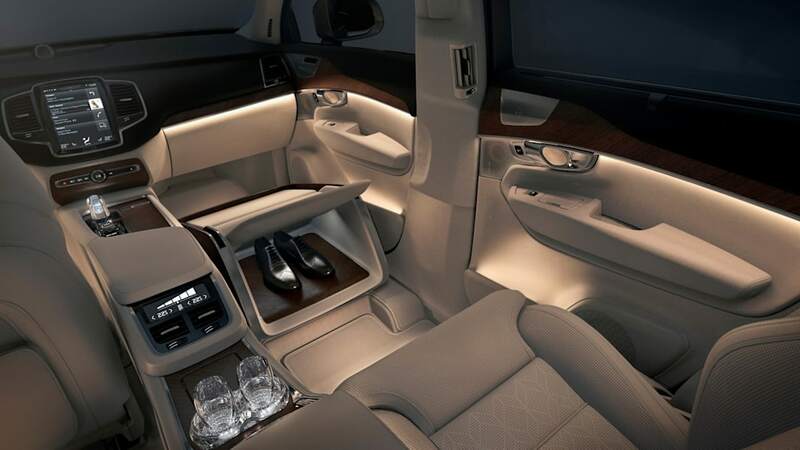 And now it's going a step further with the Lounge Console presented at the Shanghai Motor Show. 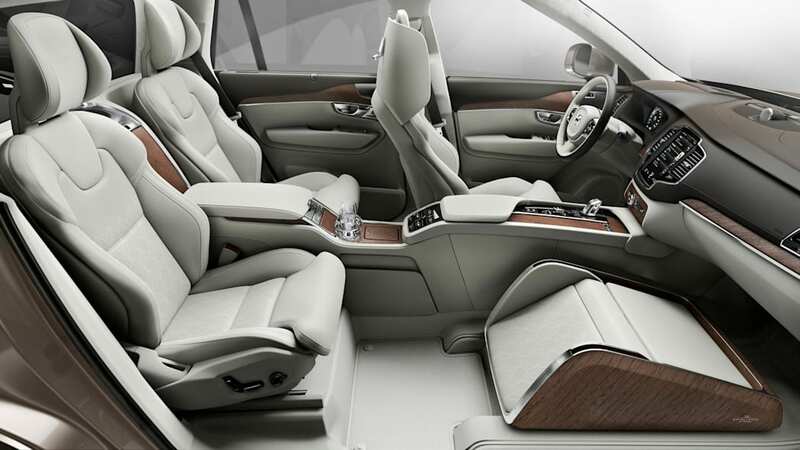 The concept is based on the aforementioned XC90 Excellence, which already removes the third row to make room for a pair of recliners. This version removes yet another seat: that of the front passenger. 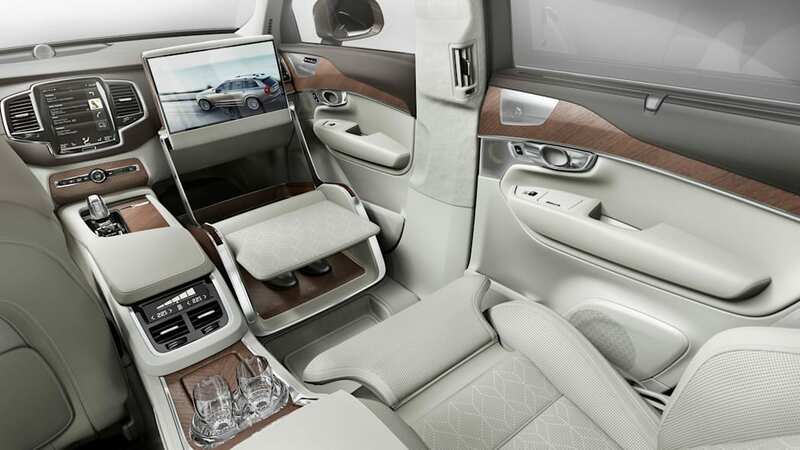 In its stead, Volvo has placed a console that provides the right-hand, rear-seat passenger an array of luxuries and conveniences. The Console allows for more legroom with an added footrest, while incorporating a 17-inch monitor, tray table, vanity mirror, lock box, shoe drawer and storage tray for jewelry and makeup, all the while allowing for an unencumbered view of the road ahead. 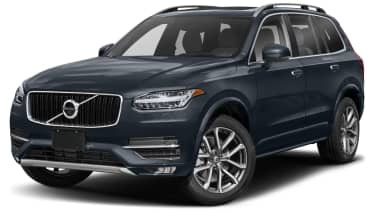 The idea may seem in contrast with to the XC90's image as a family hauler, but would undoubtedly come as a welcome feature for wealthy customers for whom transporting children is not top priority. 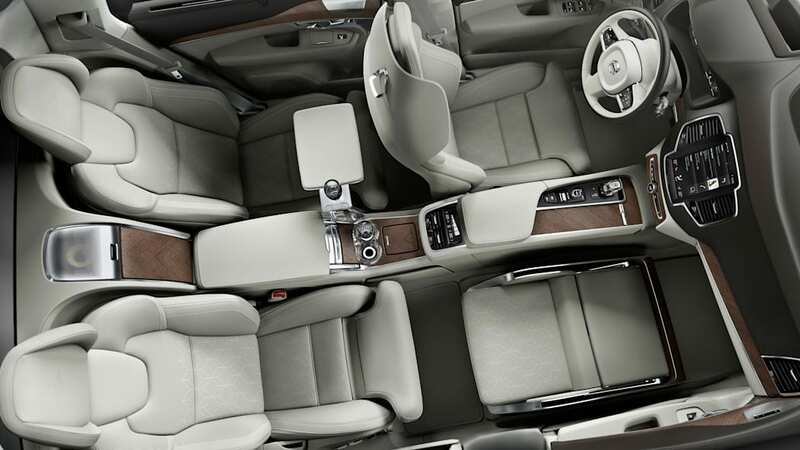 Particularly in China (home of Volvo parent-company Geely), where families are small, businessmen prefer the back seat to the driver's. 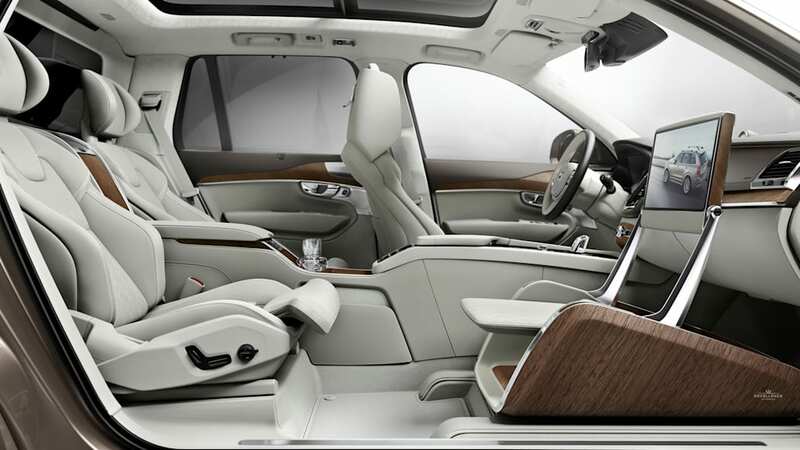 Volvo Cars has unveiled a new concept at the Shanghai Auto Show that takes executive in-car luxury to a new level. 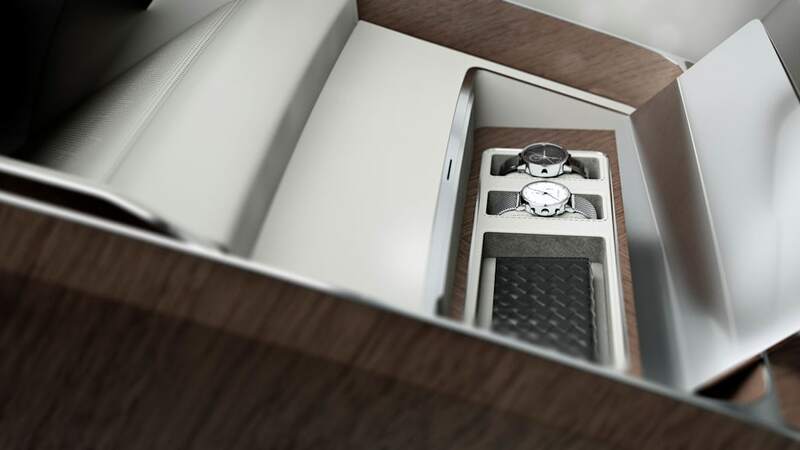 Labelled the Lounge Console, the concept offers busy chauffeur-driven business people the ultimate executive accessory - a compact and versatile solution to expanded storage and comfort. 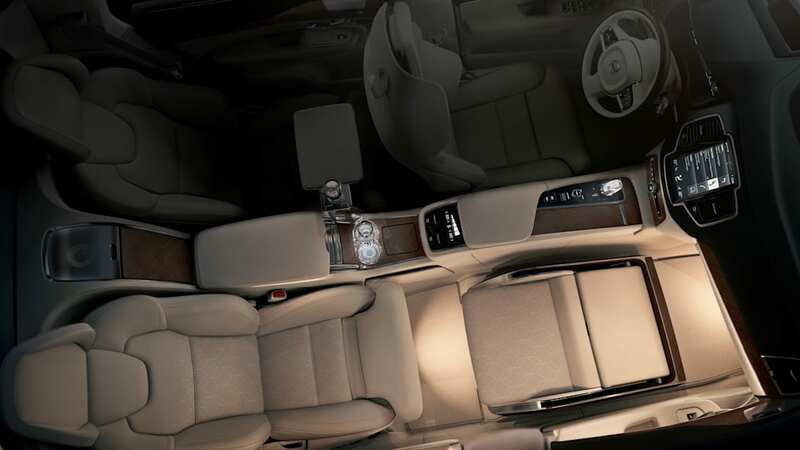 The Lounge Console replaces the front passenger seat, providing a wealth of functions and amenities. "We started this work by looking at the executive lifestyle. 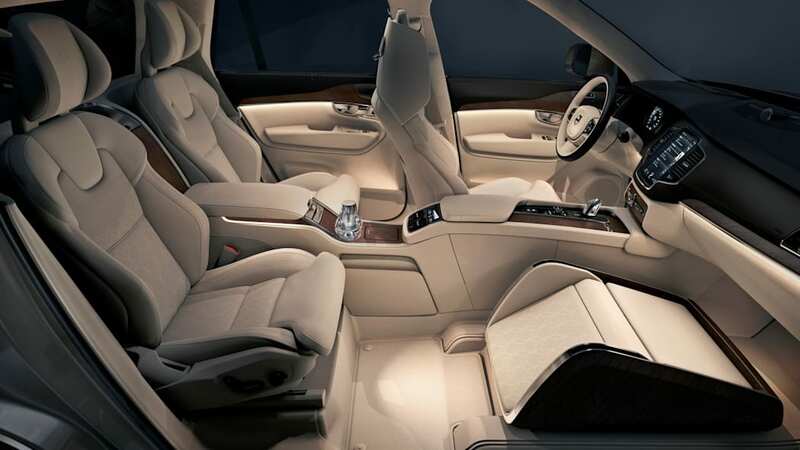 With our progressive approach to premium design and functionality we analyzed the needs and perspective of the chauffeur driven executive, designing the car around him or her in the spirit of our brand's aim," said Thomas Ingenlath, Senior Vice President Design at Volvo Car Group. "A key element in our thinking was how to make the available interior space work for the occupants in an optimal and luxurious fashion. Removing the passenger seat enabled us to create an open space that dramatically changes the dynamics of the interior and led to a firework of ideas and new possibilities." 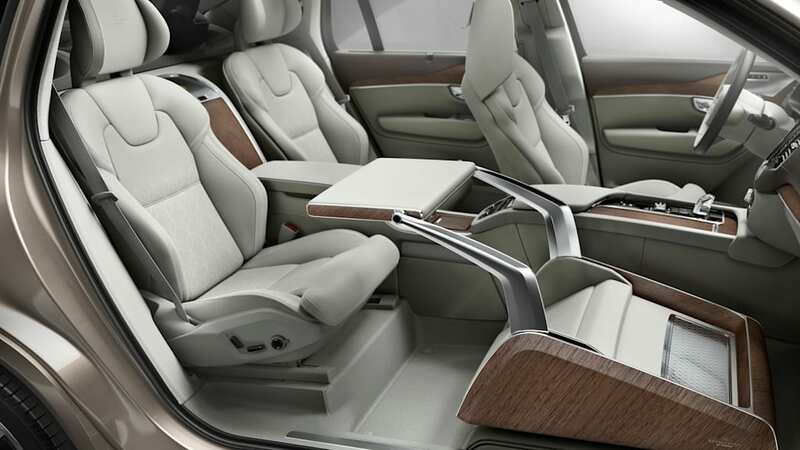 "The intention with this concept is to showcase two things – firstly that Volvo Cars is aware of the needs of our executive customers and secondly, that with design innovation and modern materials we can effectively create passenger experience that is unique in the premium car segment." added Thomas Ingenlath. 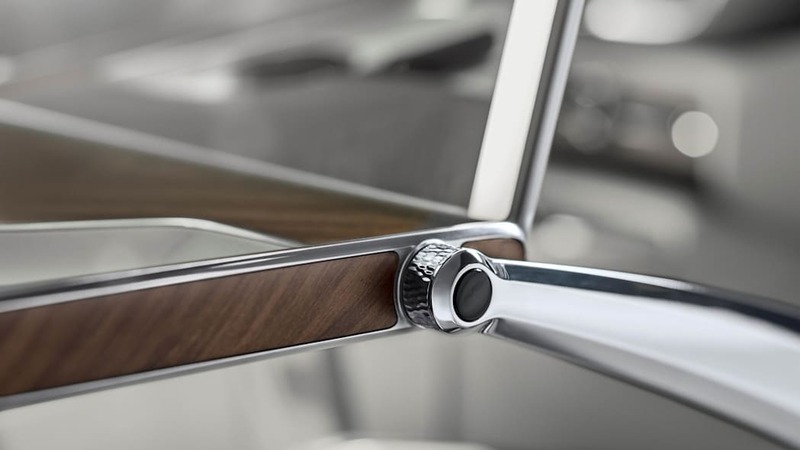 The Lounge Console incorporates features designed to enhance the in-car experience. 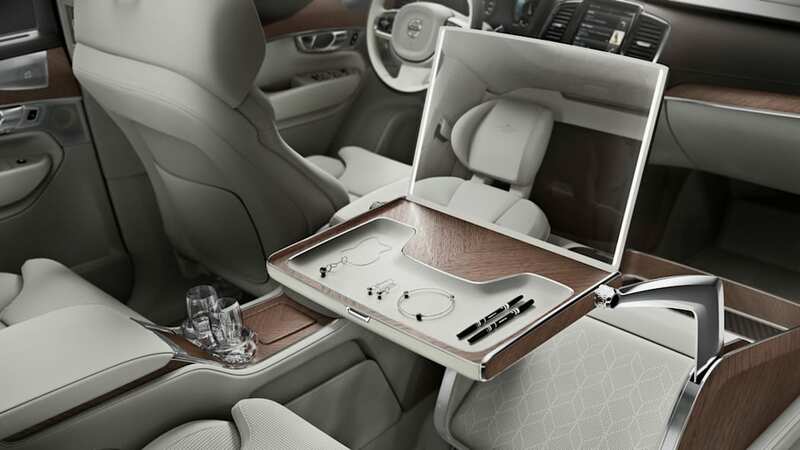 Volvo Cars' designers provide a large work table which opens to reveal an illuminated vanity mirror, including a storage tray for jewelry and personal accessories or make-up. The table rotates 90 degrees and simultaneously powers forward to display a large 17" media screen for a full in-car theater experience. Below the cushioned leg rest is an additional area for shoes. For added security Volvo Cars has included a lockable storage box. 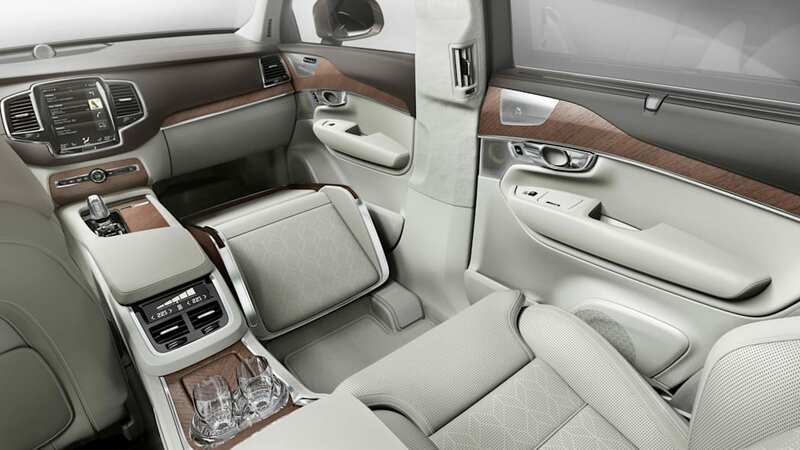 The removal of the front passenger seat allows for full forward vision creating a uniquely spacious environment. "People who are on the move and have a hectic lifestyle going from event to event or meeting to meeting need some space, some luxury time, and the opportunity to relax and refresh themselves for the next engagement. This is ultimately what the Lounge Console is designed to facilitate," concluded Thomas Ingenlath.